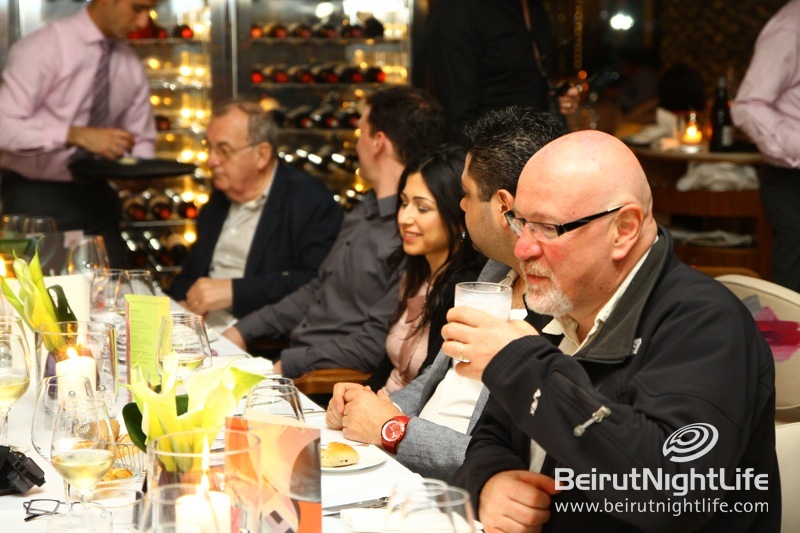 After three intense days of cooking and tasting at the HORECA trade fair in Biel, the renowned guest chefs who flew in from all over the world were surely in need of some pampering, so the BeirutNightLife.com team hosted an evening of dining and drinking in which we took the chefs to wine and dine in the heart of Beirut to enjoy the city’s finest. 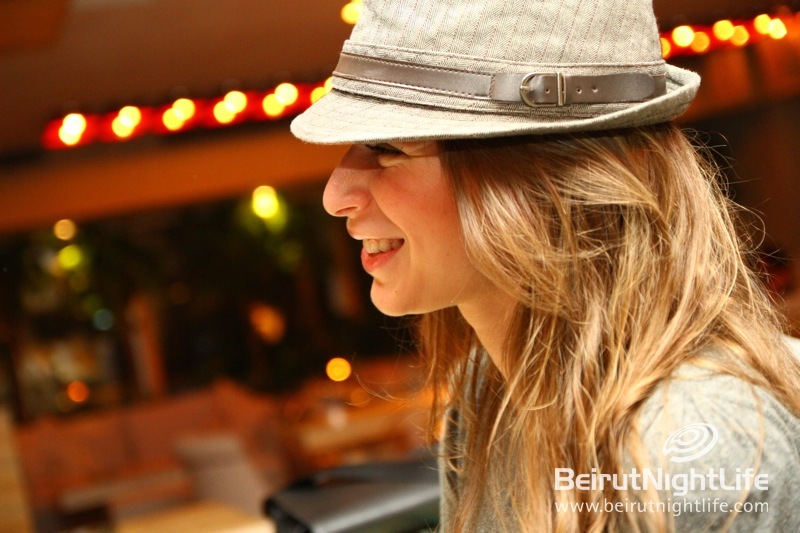 What better destination to convey the beauty of Beirut than the downtown district? 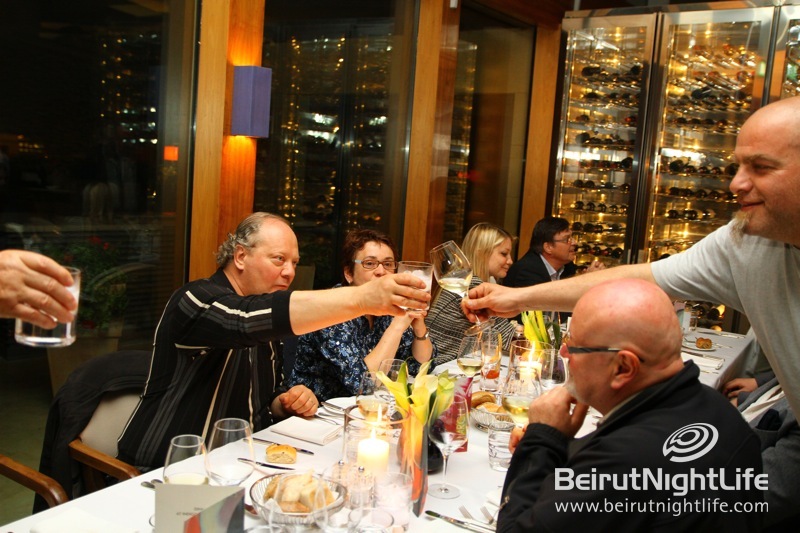 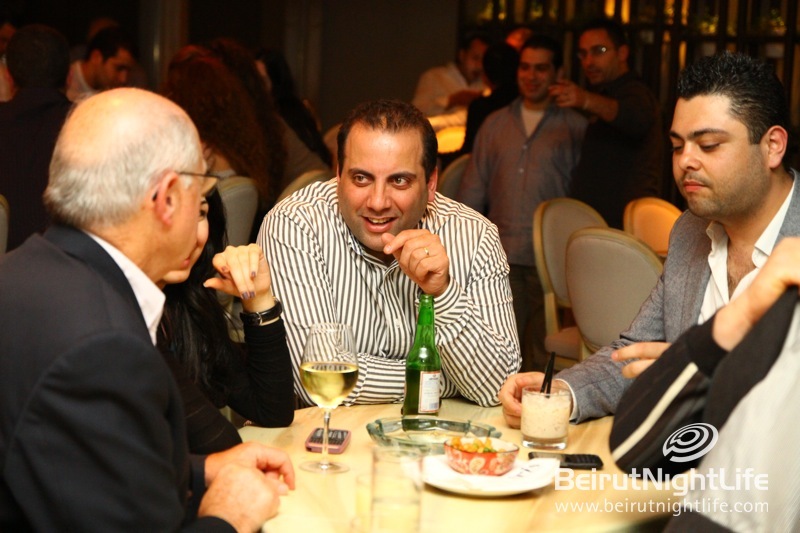 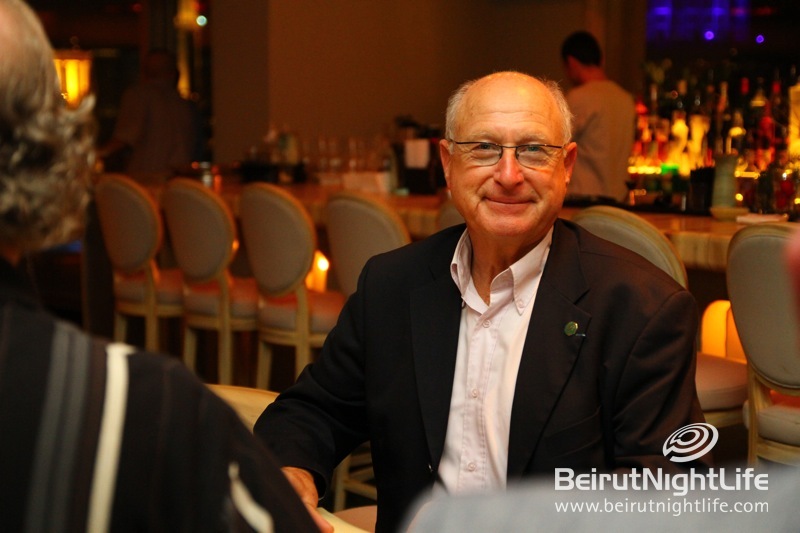 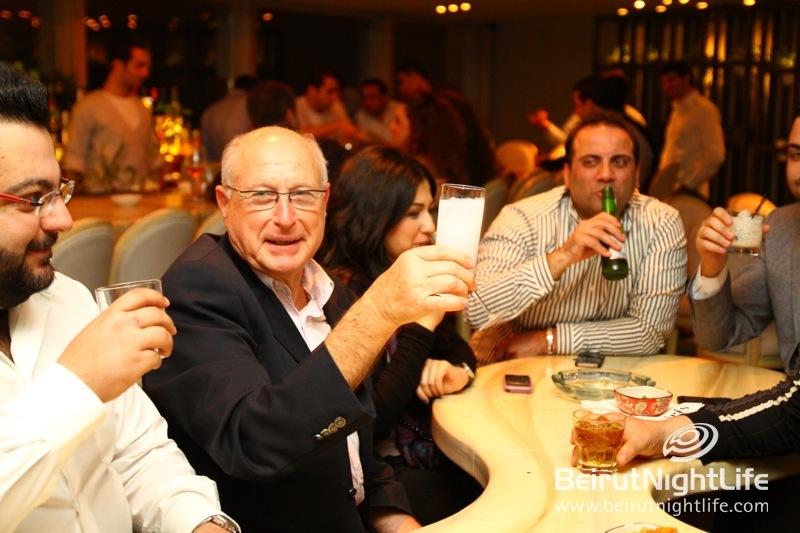 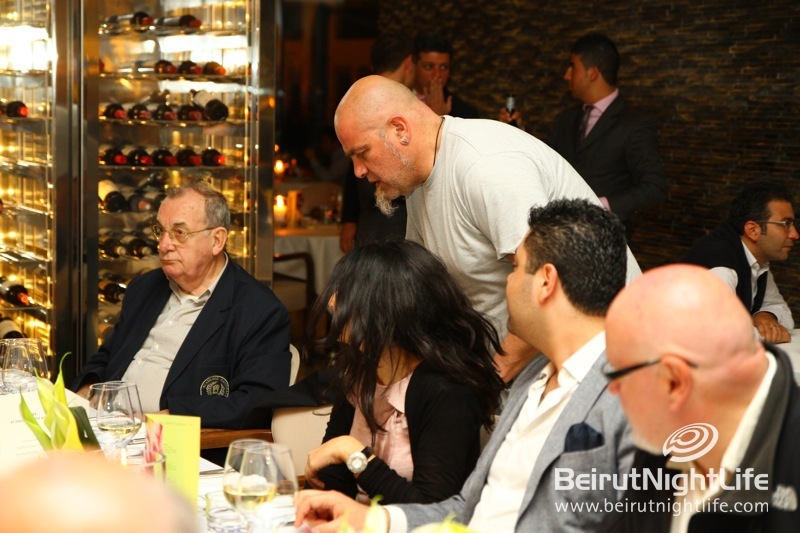 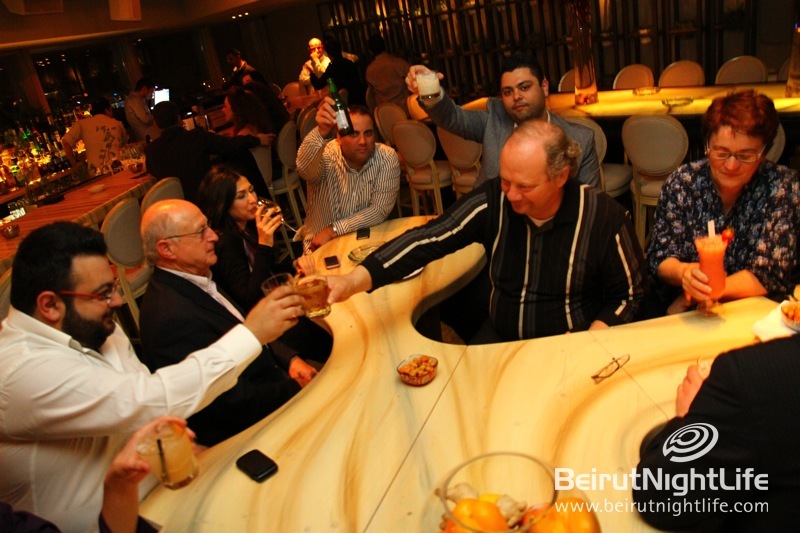 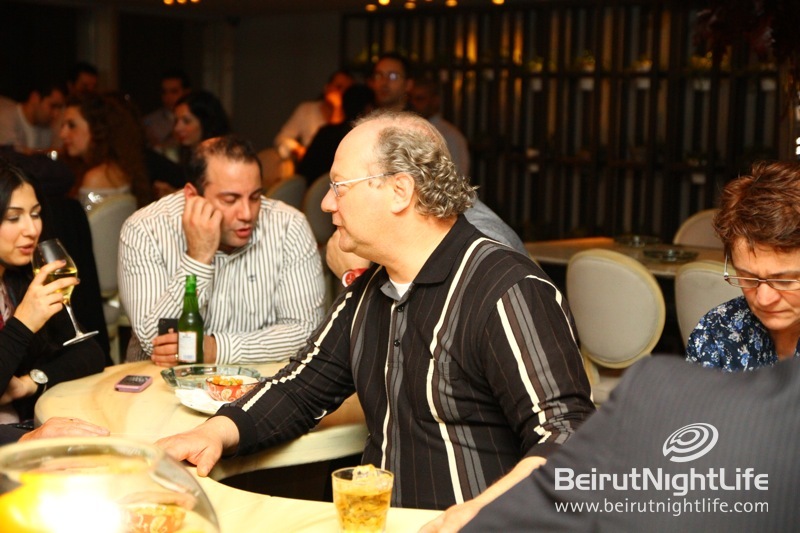 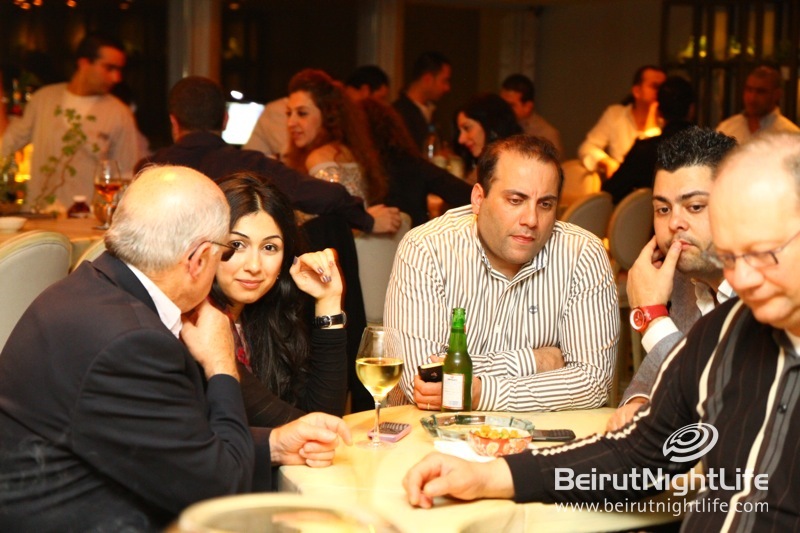 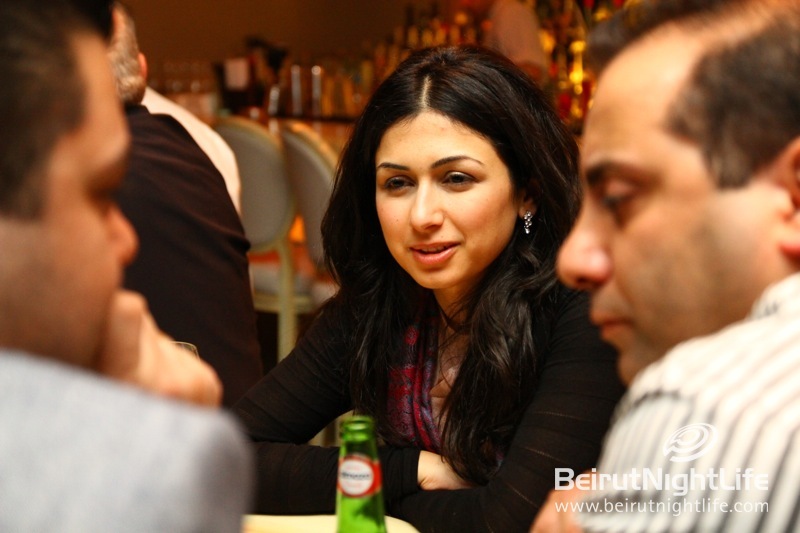 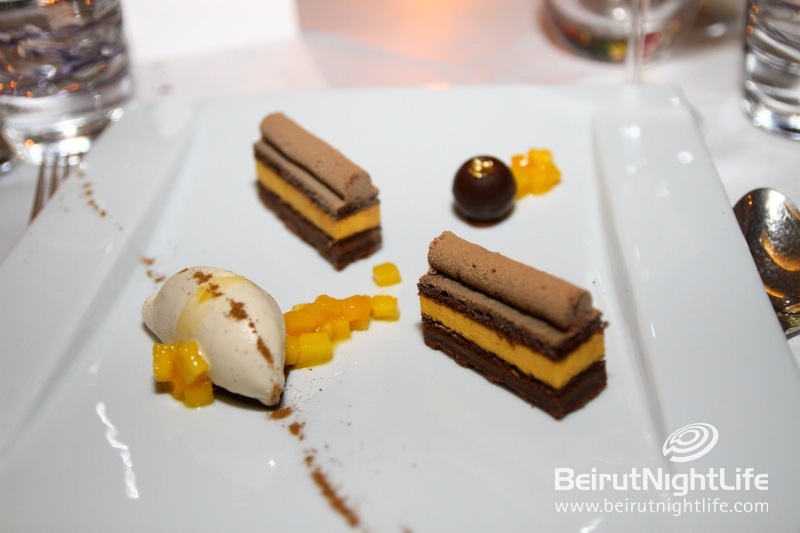 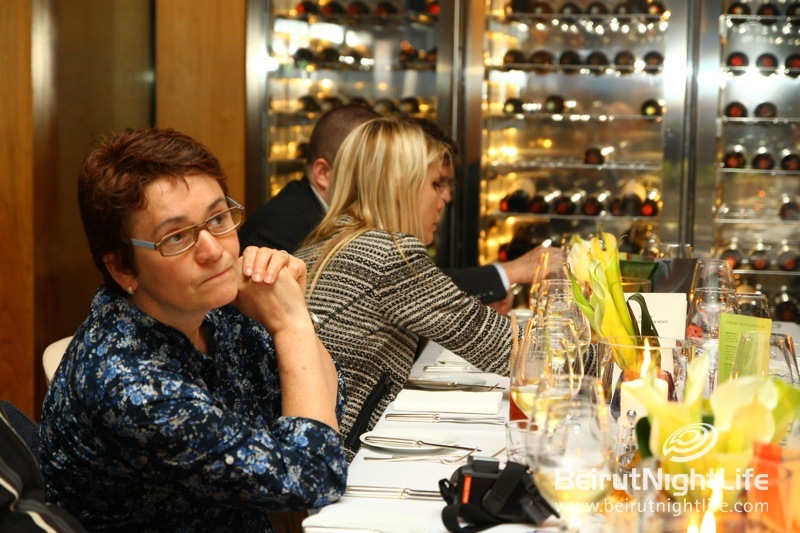 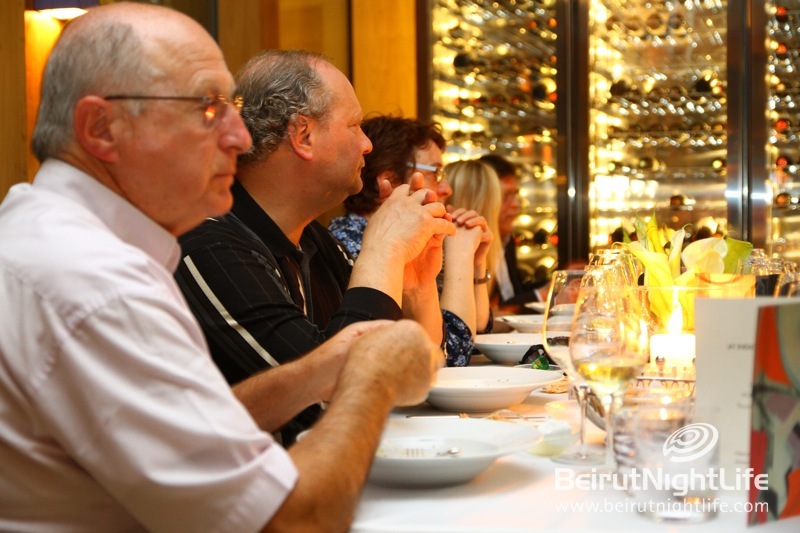 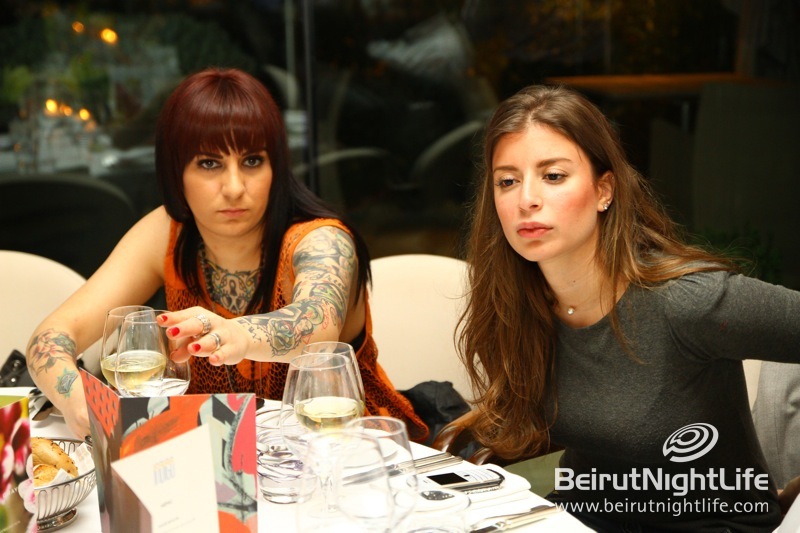 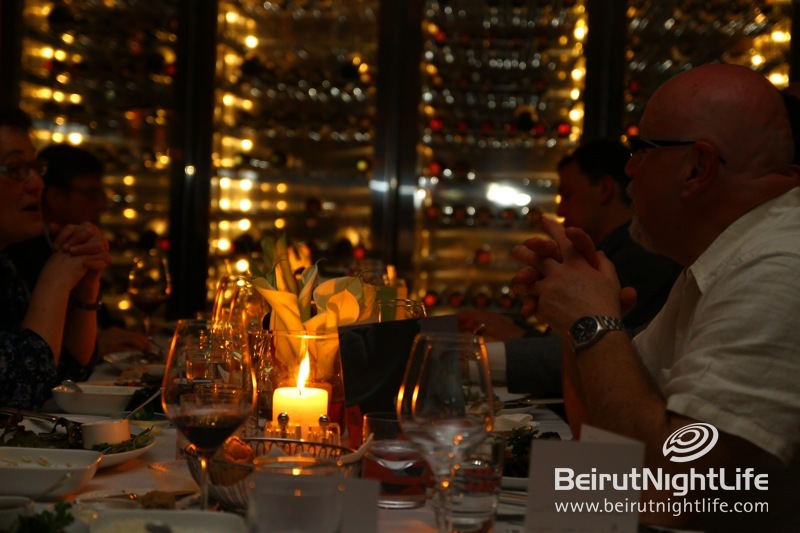 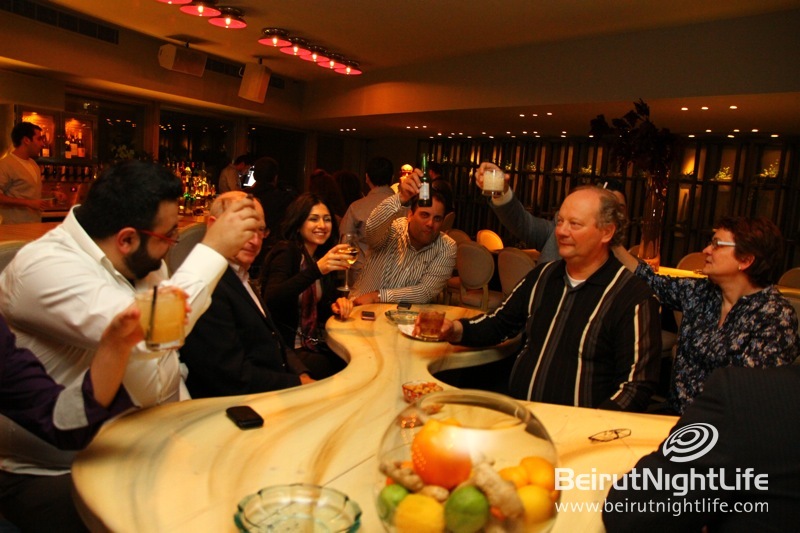 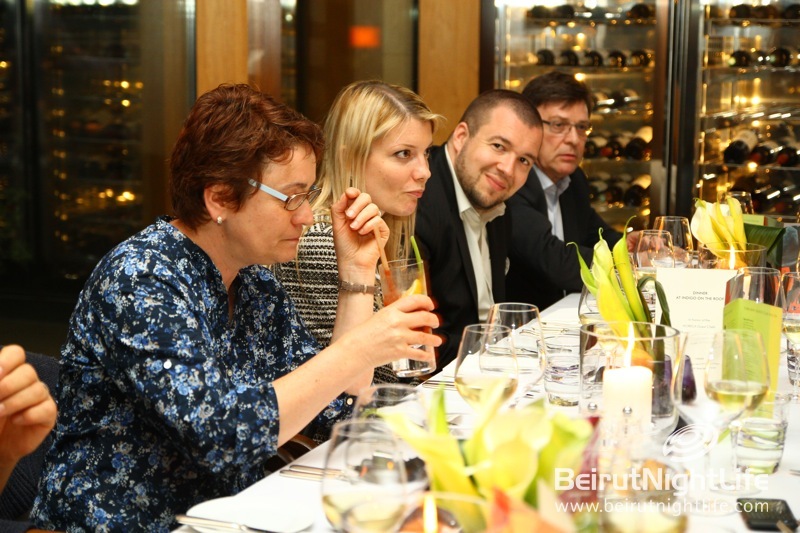 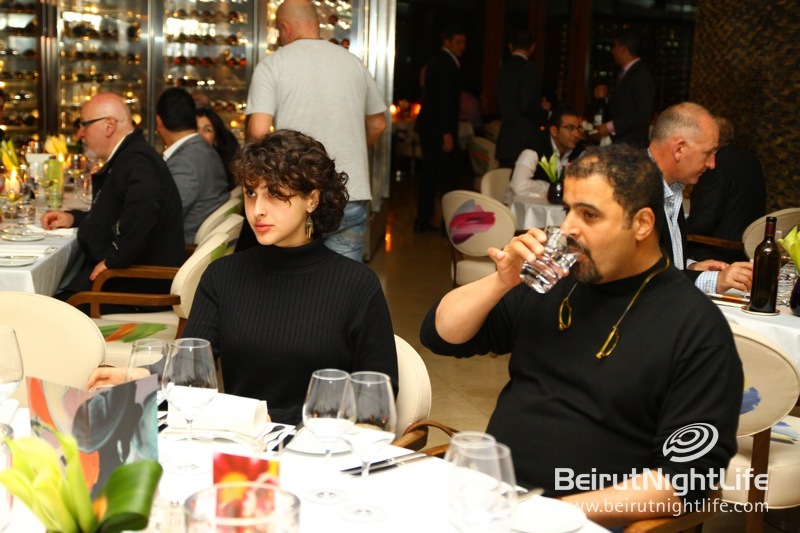 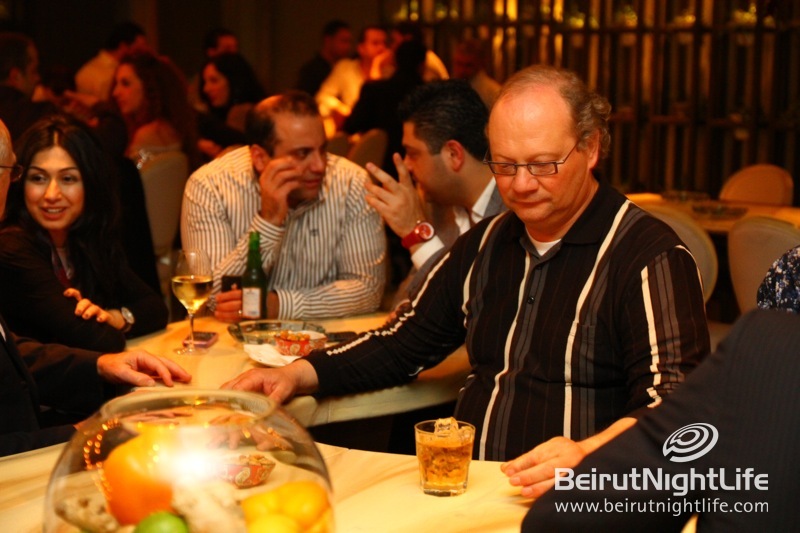 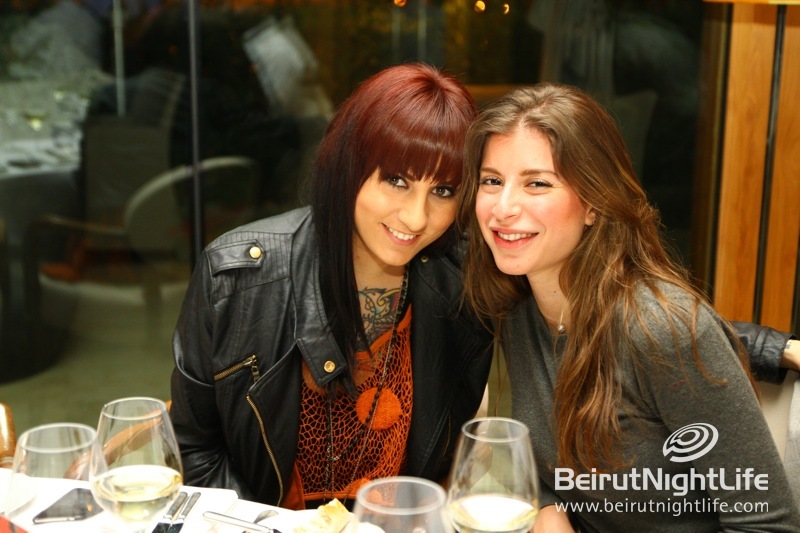 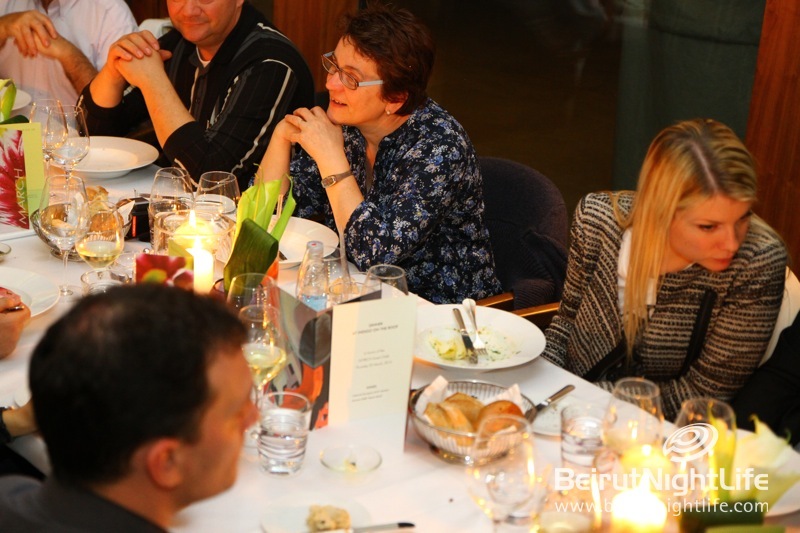 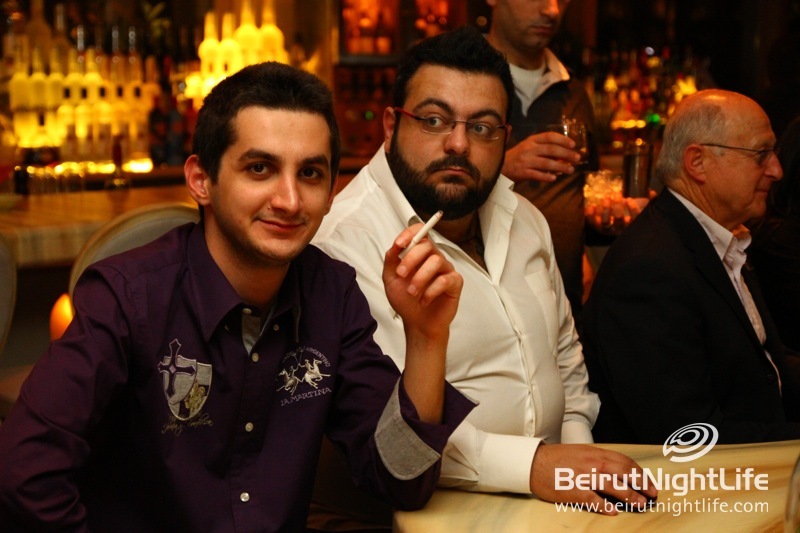 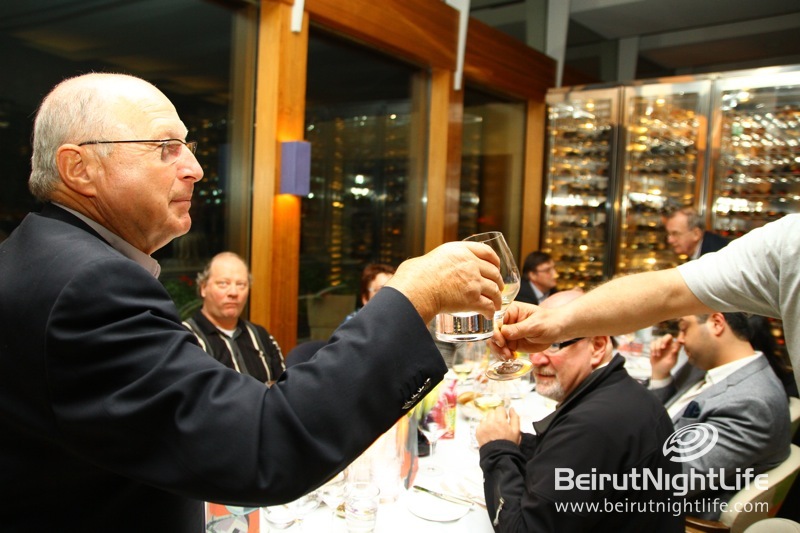 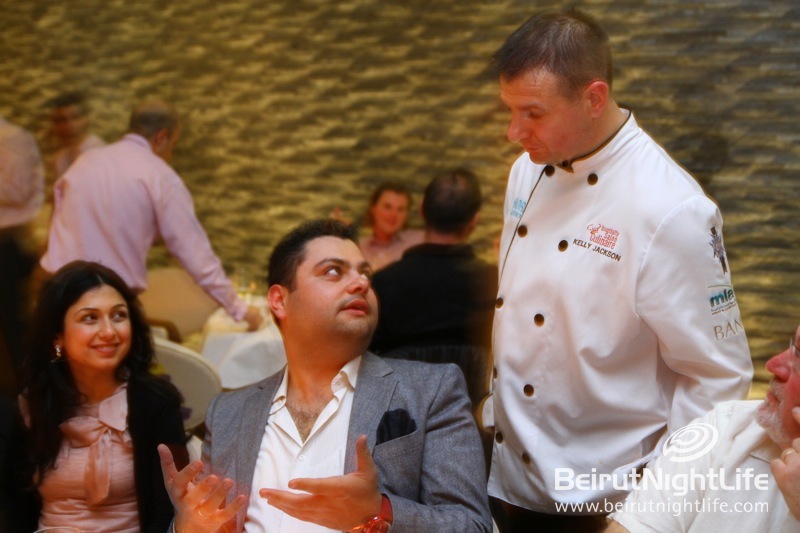 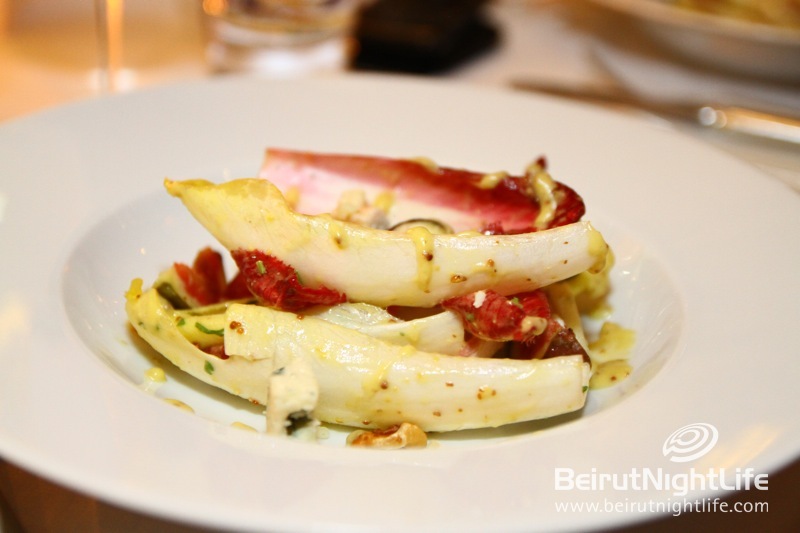 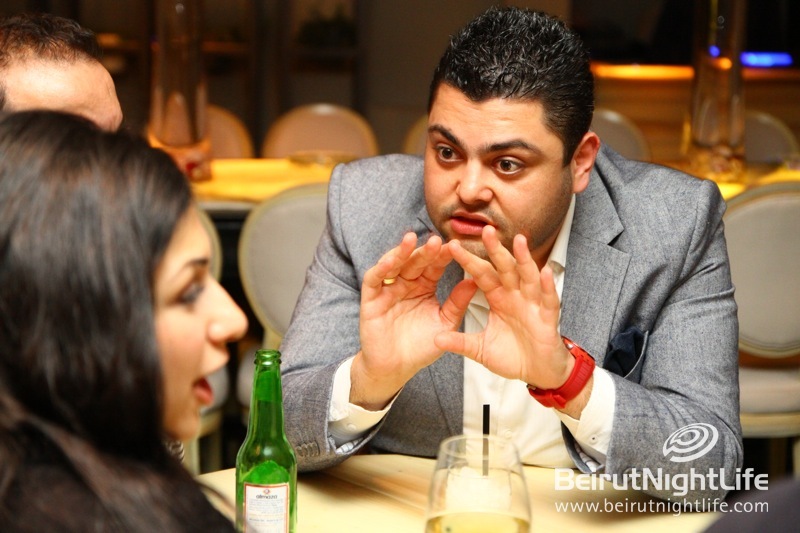 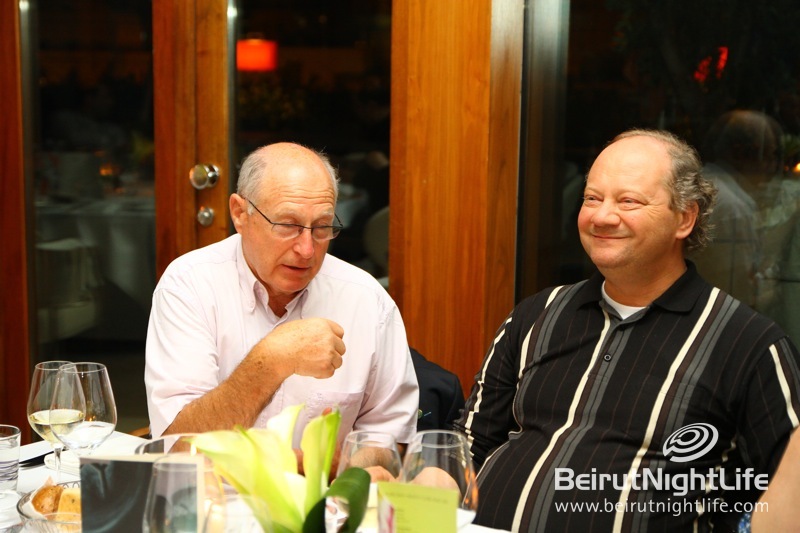 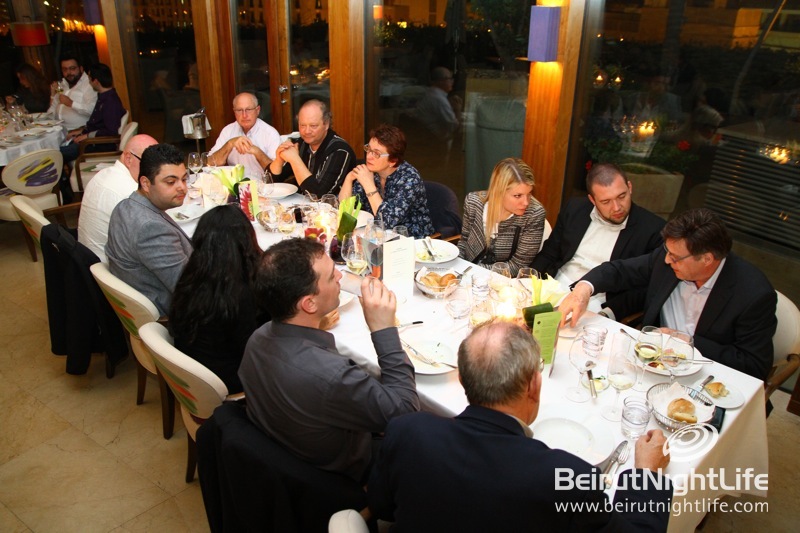 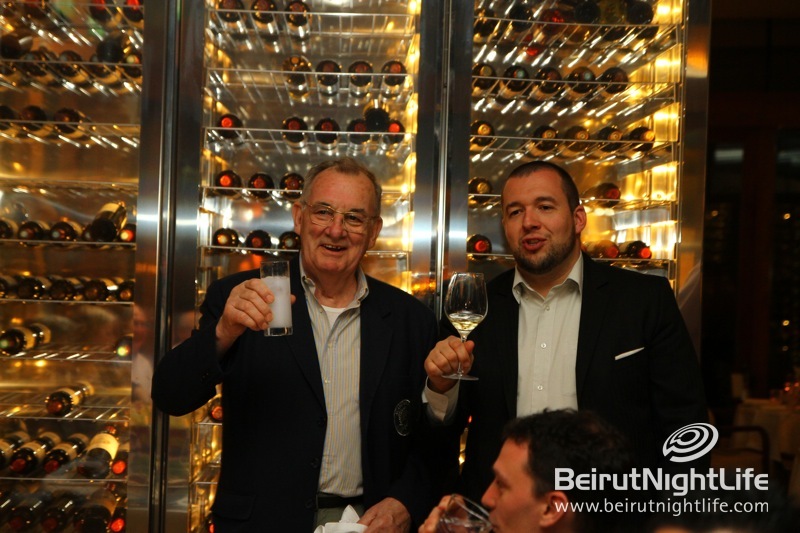 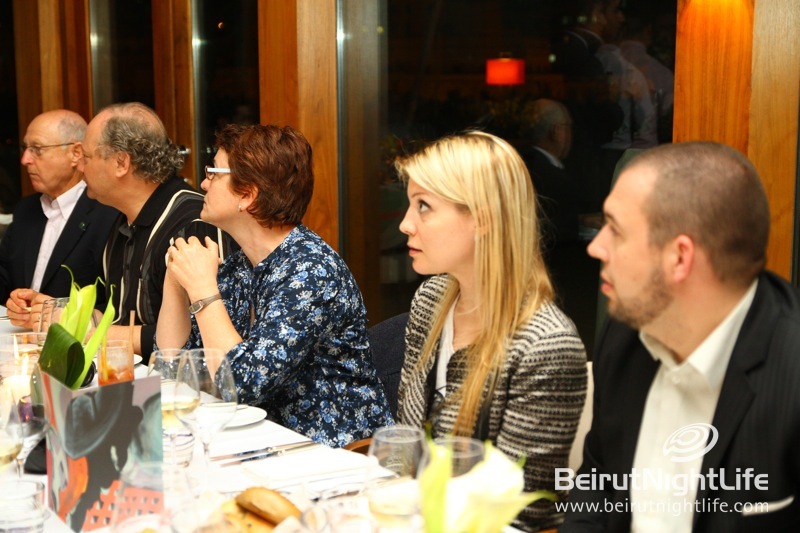 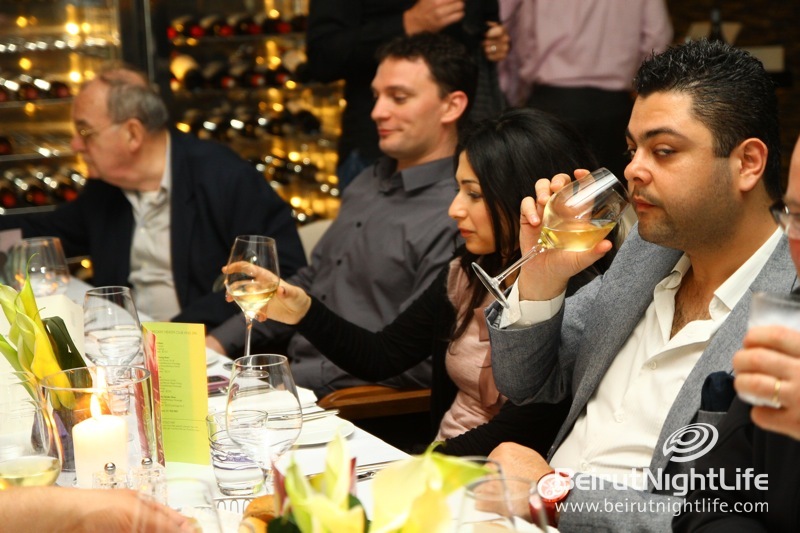 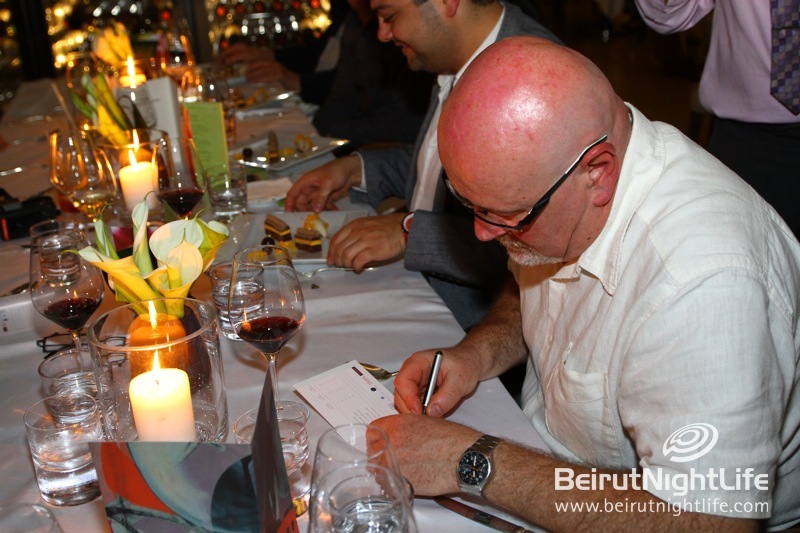 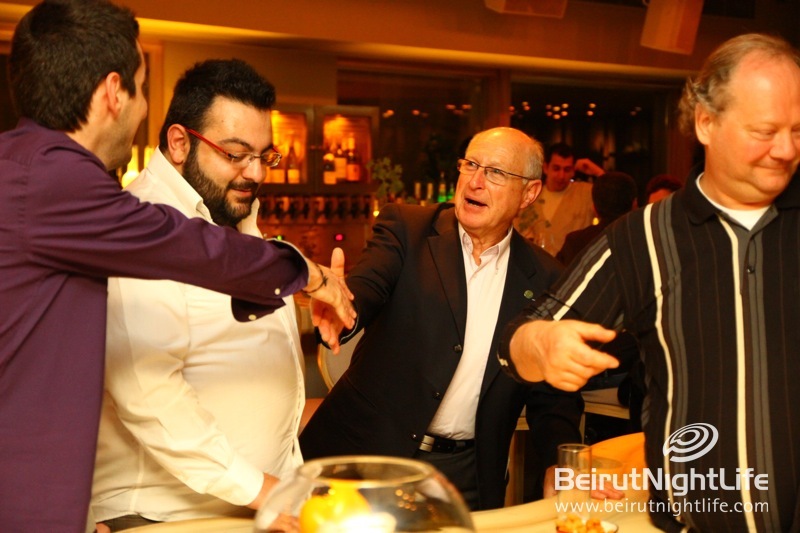 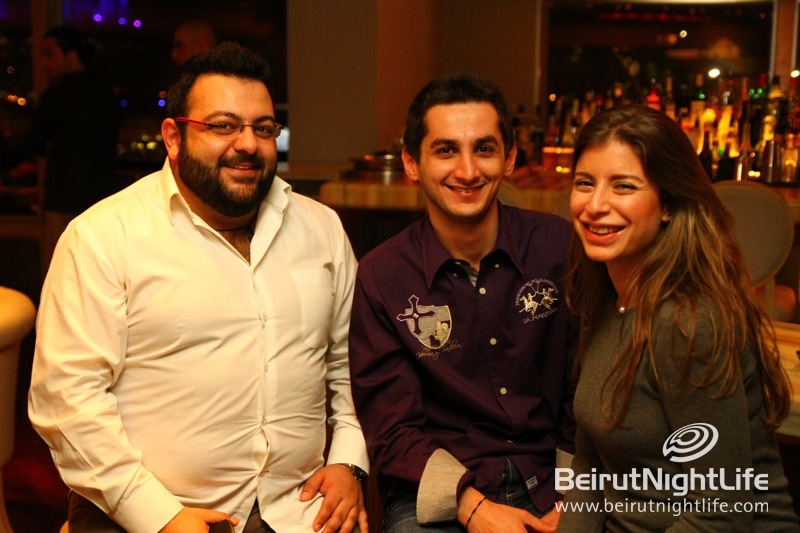 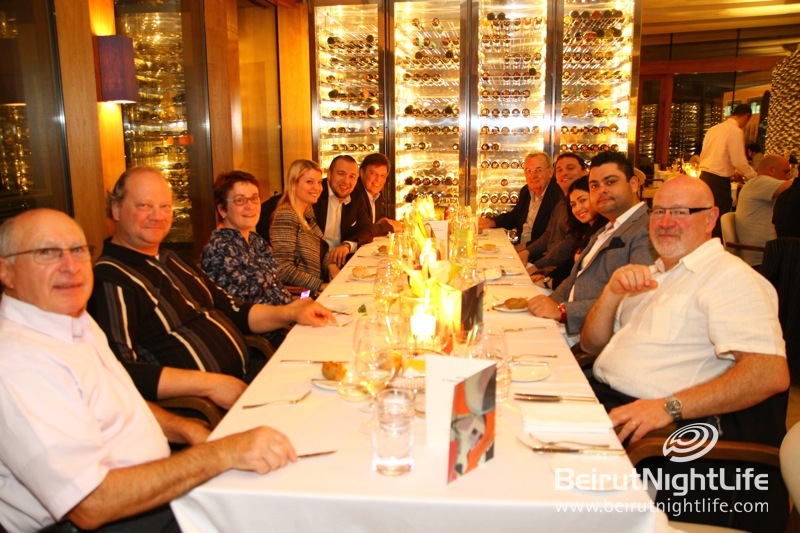 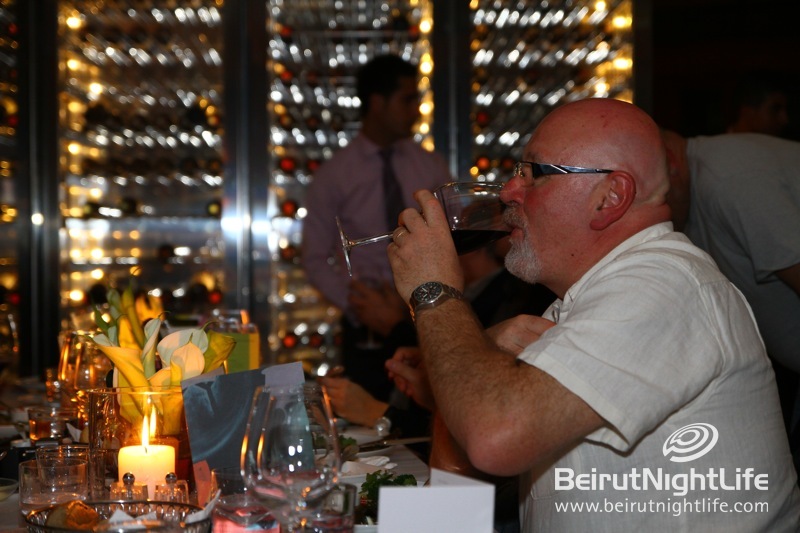 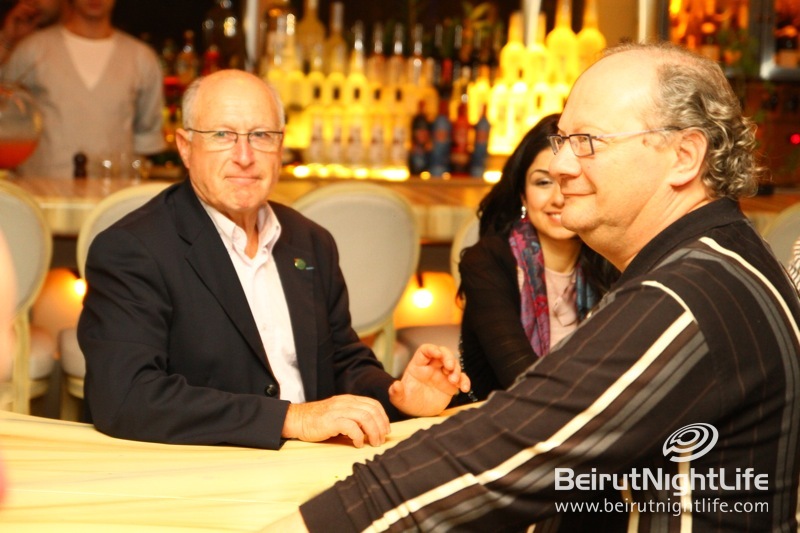 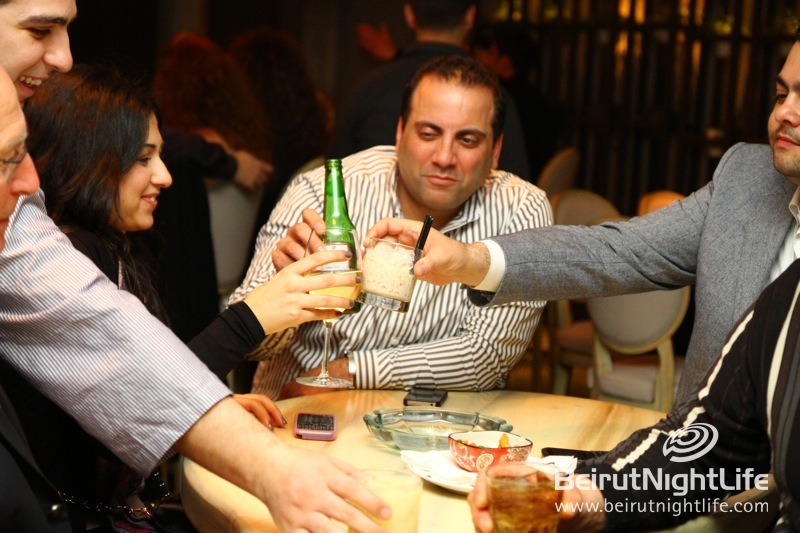 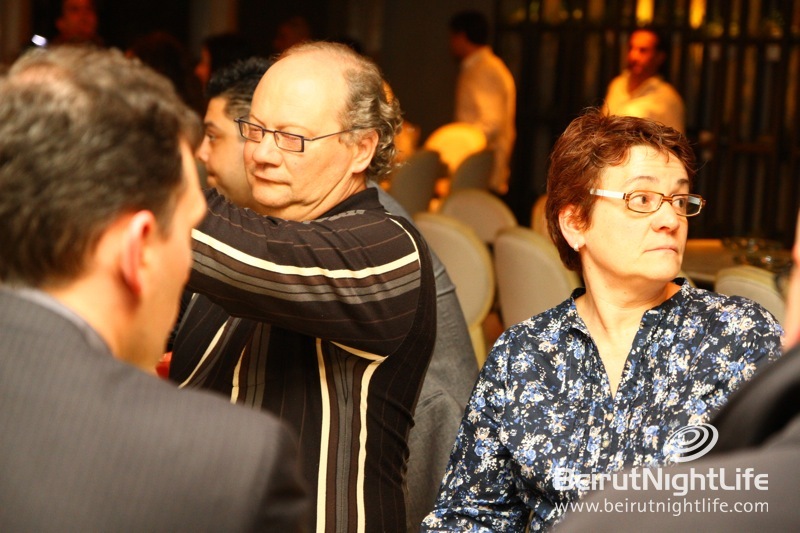 We started off the evening at the entrance of downtown Beirut, and specifically at Le Gray Hotel which impressed the chefs with its creative contemporary design and convenient location. 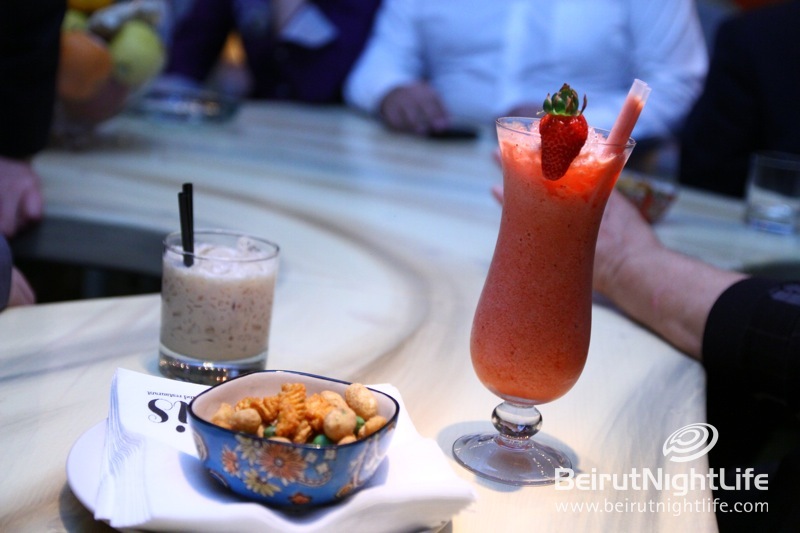 We had our aperitifs at the Bar ThreeSixty as the chefs admired the 360 degree panoramic view of the city and relaxed to soothing drinks and lounge music. 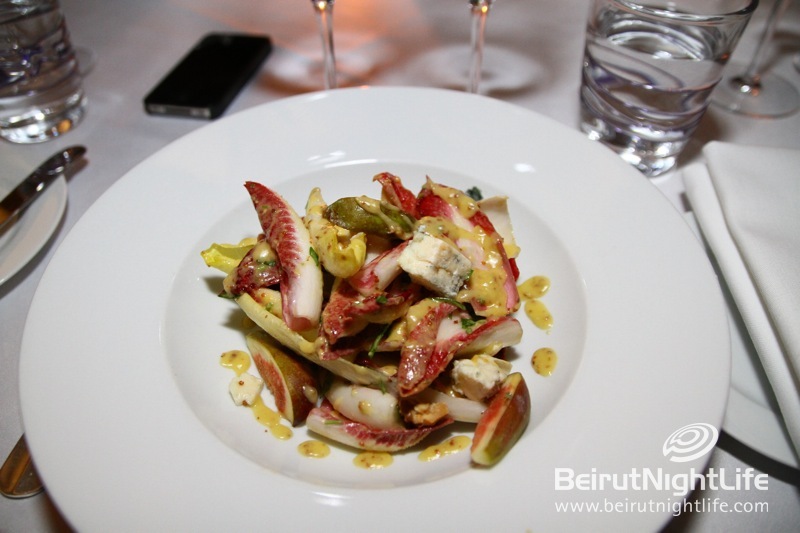 Dinner followed shortly one floor down at Indigo, a fine dining experience to please even the pickiest of tastes. 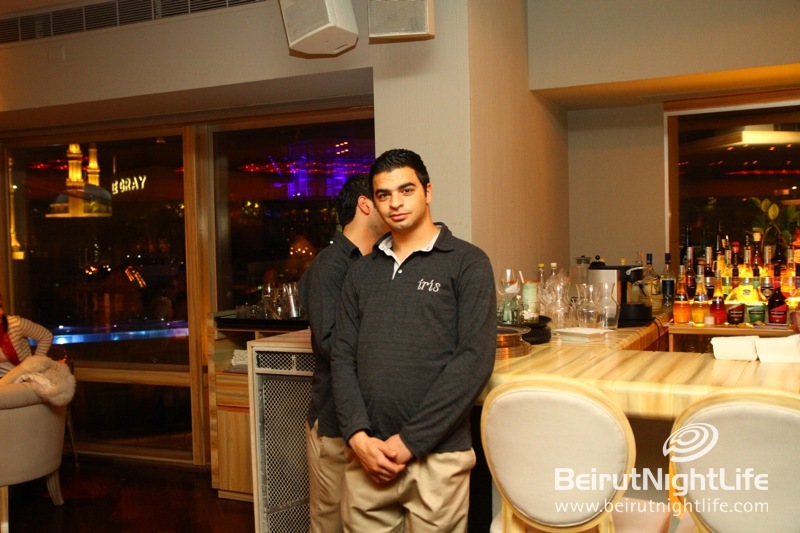 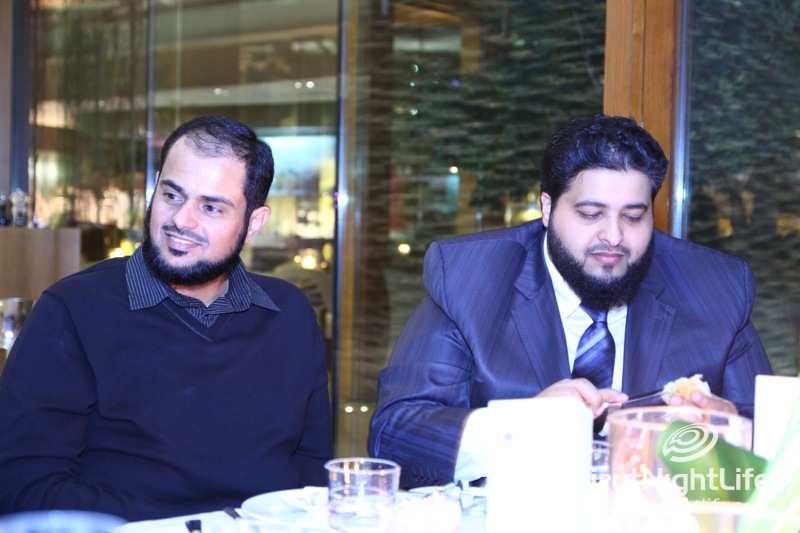 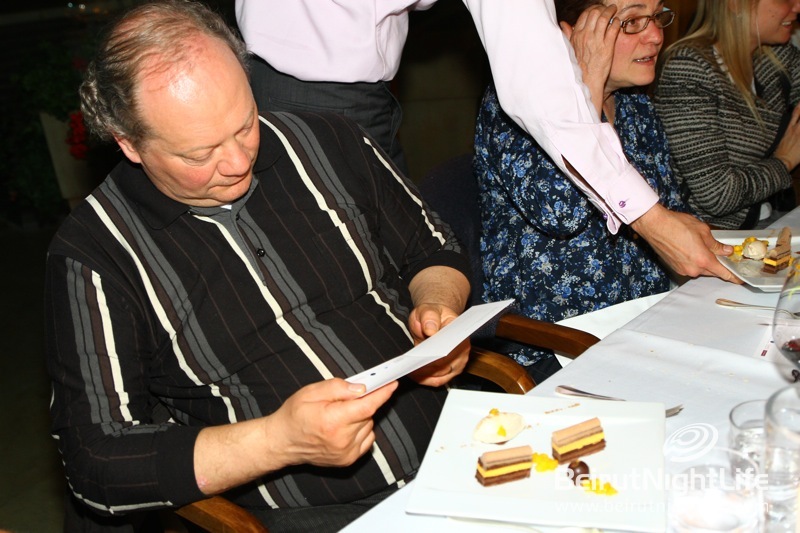 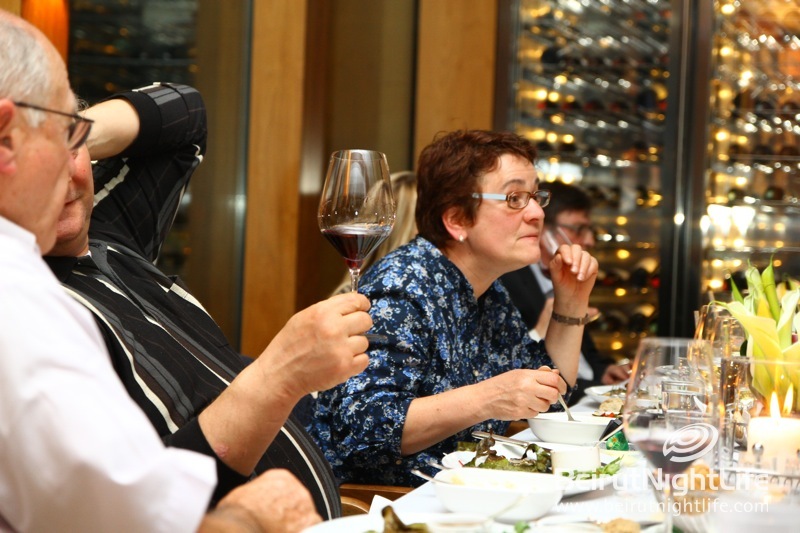 The welcoming atmosphere and staff awaited us, a group of 30, who were seated across three neatly set up tables. 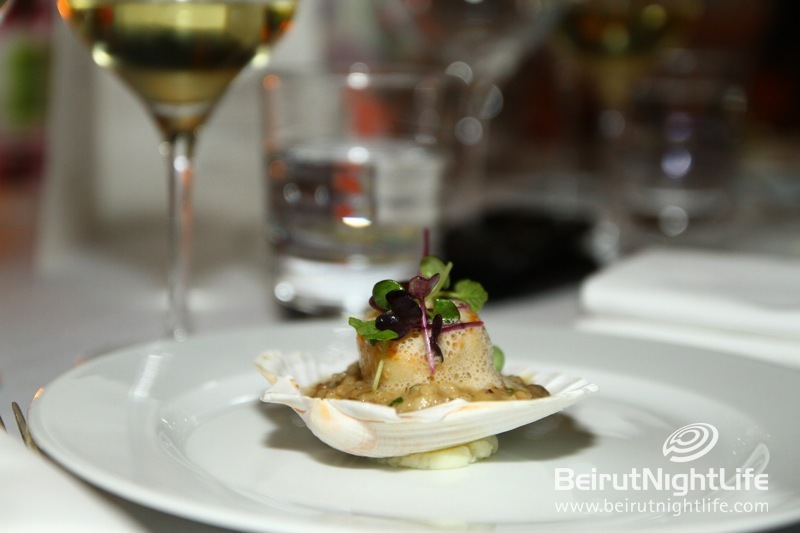 We began with some delicious white wine and fresh homemade bread, followed by a delicious starter with scallops and an endives salad. 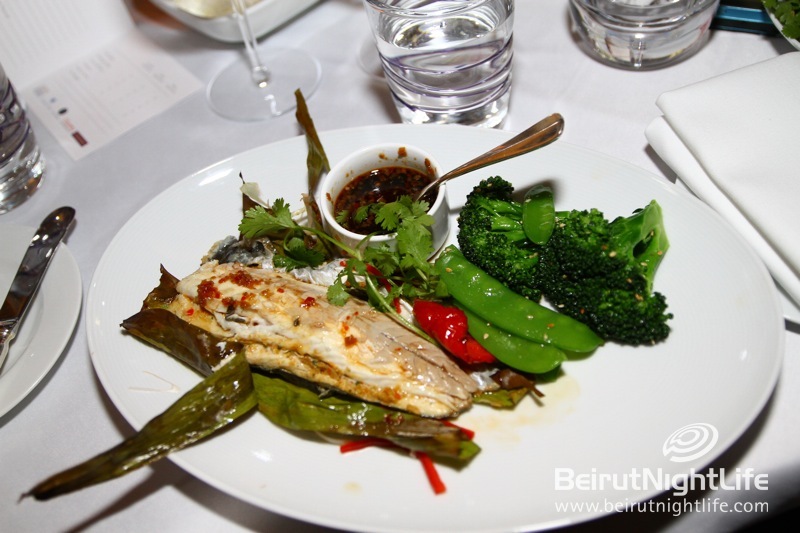 The main course was a sublime succulent Asian style sea bass and the dessert platter was a selection of signature Indigo bites of heaven! 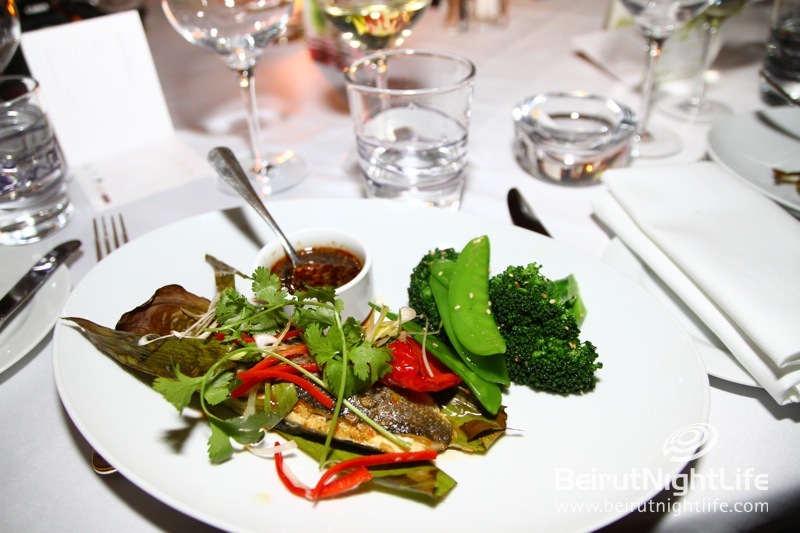 The chefs were very happy with the meal and emphasized on the freshness of the ingredients, the appetizing presentation, and the fresh, contemporary and classy décor. 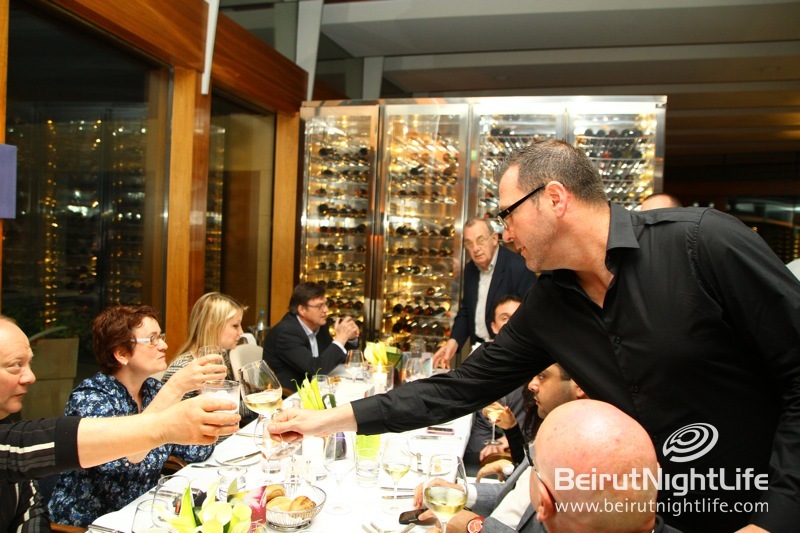 The dinner and drinks were courtesy of Le Gray Hotel. 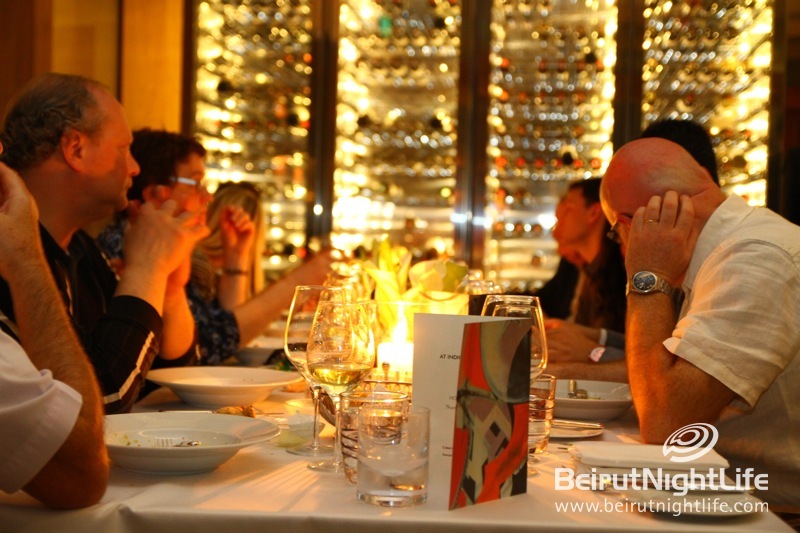 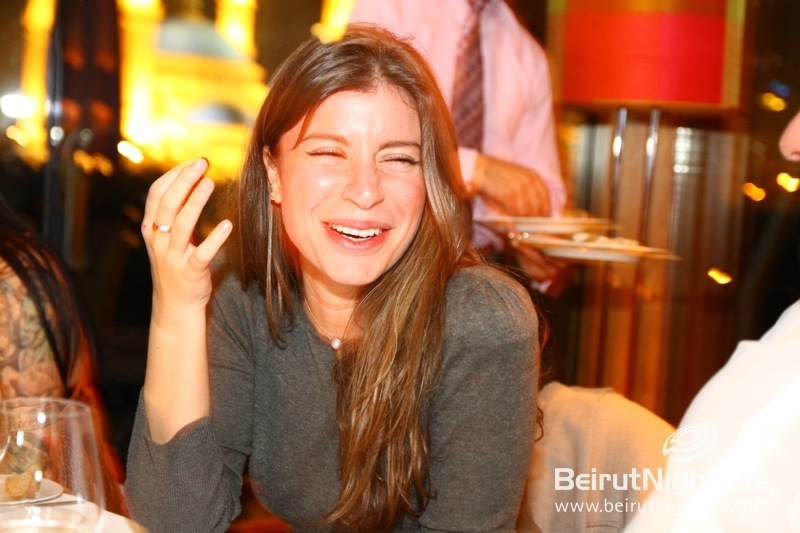 With happy full stomachs, we walked across the street to the Annahar building where an evening of drinking awaited us at Iris. 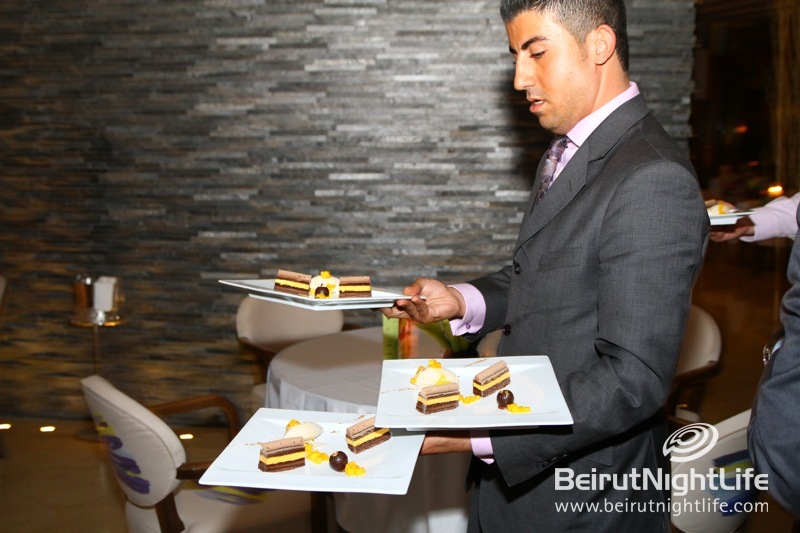 A big table was prepared for us at this impressive indoor rooftop garden, whose concept and ambiance thrilled the international chefs. 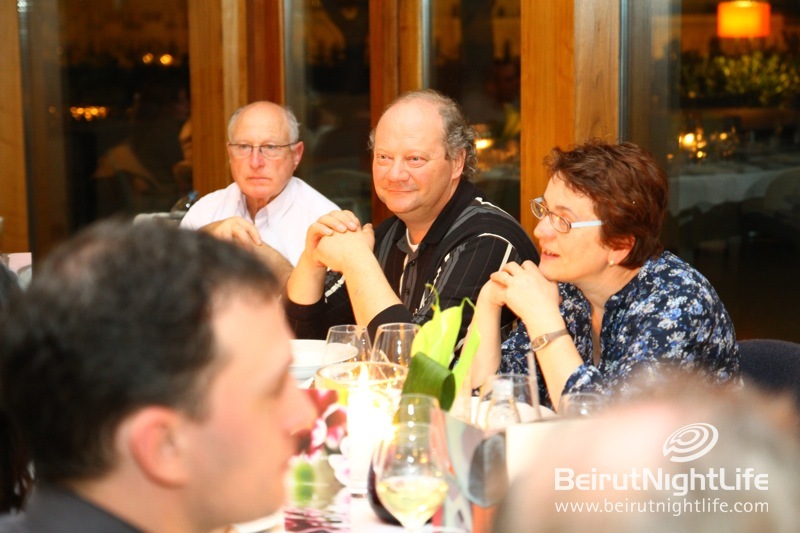 After a couple of drinks and a few hearty conversations, we were all ready to leave and get a few hours’ rest before the last day of HORECA. 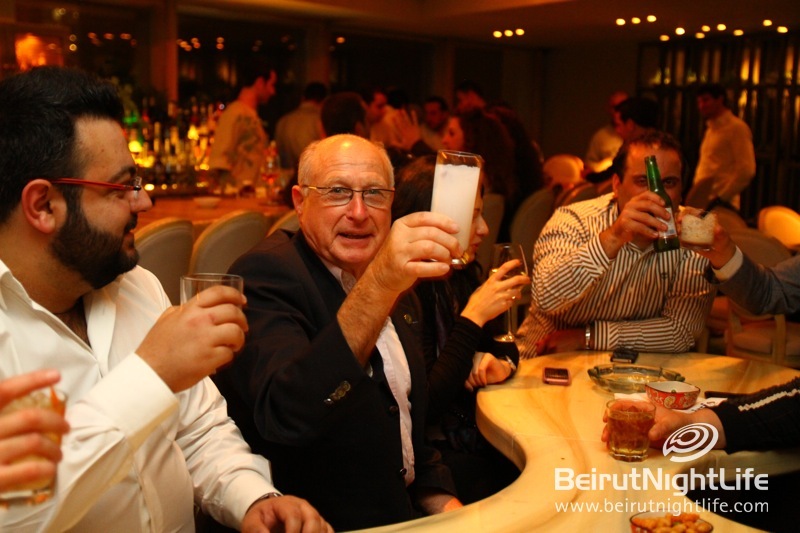 The drinks were courtesy of Iris. 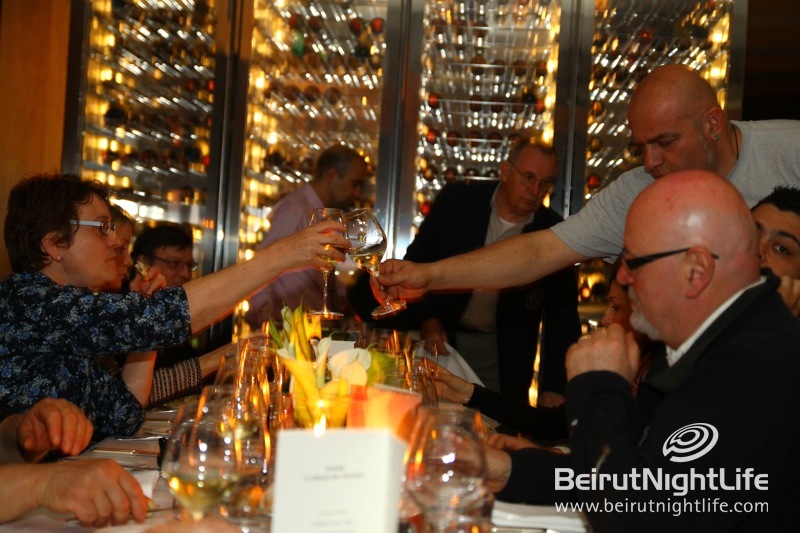 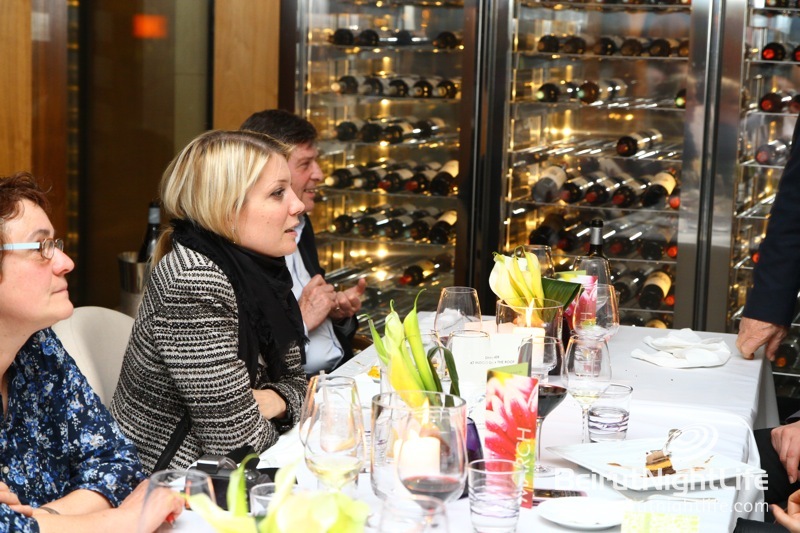 The chefs were delighted with the city; its stylish venues, and how it blends its heritage with international concepts, offering an unforgettable experience for locals and tourists alike.